If you haven’t heard, OpenNotes has a killer panel submitted for the 2019 SXSW Interactive Festival: Transparency in Healthcare, One Note At a Time. 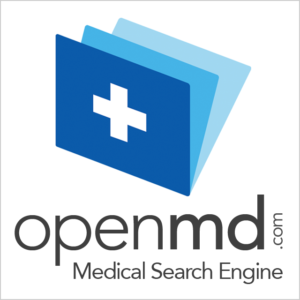 For the uninformed, OpenNotes is an international movement advocating for the availability of medical providers’ notes to patients. The team at OpenNotes has pulled together University of Pittsburgh Medical Center’s (UPMC) Rasu Shrestha, and their own Cait DesRoches and Liz Salmi for a discussion on the OpenNotes movement and how it fits into an emerging patient-centered future. I have the privilege of teasing the brilliance out of these folks as the moderator. I can’t wait. So why is the OpenNotes panel a perfect fit for discussion at SXSW Interactive? OpenNotes is disrupting healthcare. As ground zero for some of technology’s breakthrough moments, SXSW is a place where big ideas get a push. Backed by nearly a decade of academic research, OpenNotes is truly at a flexion point in terms of adoption and now’s a great time for discussion on a stage like SXSW. We’ll push the discussion beyond OpenNotes. Behind the movement itself is the broader trend of transparency in health information. This thread will create the space for a fascinating discussion around the future of healthcare and access to information. The panel narrative, by design, will help the audience come away with insight and wisdom around what transparency means for medical professionals and for patients. OpenNotes is about improving patient participation. OpenNotes is driven by the kind of inclusiveness that’s part of the southby culture. This panel was custom-built to deliver energy and insight through a high impact discussion on how technology is disrupting the status quo and making it easier to access, share and better understand information about your healthcare. We’ll eat the dog food. With two panelists from institutions that don’t use OpenNotes, this discussion will go beyond cheerleading and objectively address some of the more challenging questions about transparency and open records. This informative tete-a-tete will empower audience members to become better healthcare advocates for themselves and their loved ones. Vote us up. 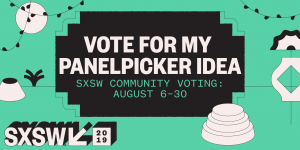 Go over to the SXSW panel picker page and pick us, or click here. Show up. This is a great meeting of great minds. We’d love to see you in the audience and at the mic adding and challenging what we plan to share! The folks who come to SXSWi come for exactly this kind of mind-bending dialog. I hope you’ll help us out by voting us up. See you in Austin! OpenNotes: How the power of knowing can heal healthcare, NEJM Catalyst. Video: What did the doctor say? OpenNotes benefits caregivers. OpenNotes Executive Director Cait DesRoches enters The Exam Room. A podcast interview that serves as a great introduction to the concept. If you want to learn more about the health programming at SXSWi, skim through the Health SXSW 2018| the 33 charts Super Guide. It’s my guide to the best of the best during last year’s festival.